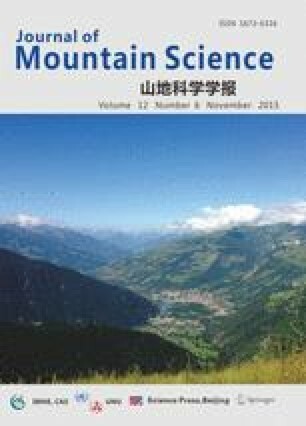 The cutting slopes in soft rock of redbed appeared in Yichang-Badong highway often suffer from the instability along weak intercalations, so the creep behaviors of weak intercalated soils are crucially important for the stability of cutting slopes. Because the deformation of weak intercalated soils is significantly affected by water content due to the strong water sensitivity, it is necessary to study the influence of matric suction on the creep behaviors of weak intercalated soils. In order to find out the unsaturated creep characters of weak intercalated soils, a GDS unsaturated triaxial apparatus was used. Then the triaxial creep experiments on weak intercalated soil samples under varying matric suction were conducted to obtain the unsaturated creep curves. The results show that the weak intercalated soils have obvious creep behaviors, and the creep strain is in nonlinear relationship with stress and time. When the matric suction is constant, a larger deviator stress will lead to a larger creep strain; When the deviator stress is constant, a smaller matric suction will lead to a larger creep strain. Based on the Mesri creep model, an improved creep model for weak intercalated soils under varying matric suction was established, in which the relationship of stress-strain was expressed with a hyperbolic function, and the relationship of strain-time was expressed with power functions in stages. Then an unsaturated creep model including stress-matric suction-strain-time for weak intercalated soils was established based on the power function relationship between matric suction and E d (a parameter of the improved creep model). The comparison of the calculated values of creep model and the experimental values shows that the creep behaviors of weak intercalated soils can be predicted by the unsaturated creep model by and large.